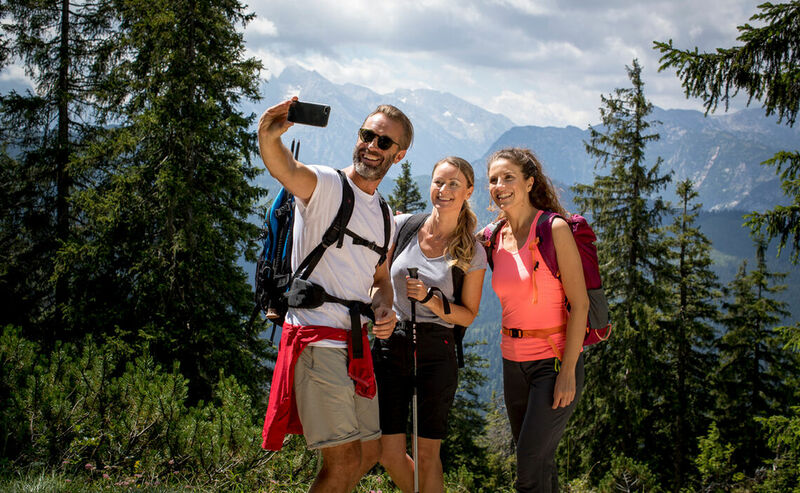 In order to allow Bad Reichenhall’s alpine climate to have its full beneficial effect on your health, we recommend starting your hiking program gently. 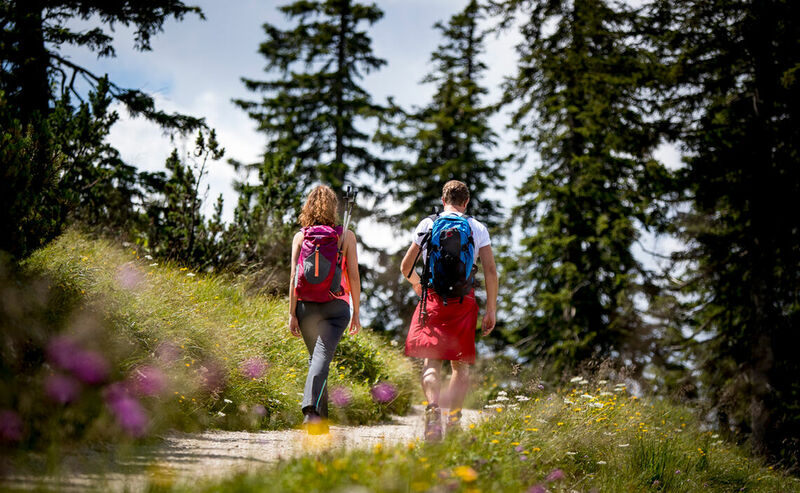 How about a walk along the Waldidyllpfad or taking the cable car ride up Mount Predigtstuhl for a walk on the circular trail, a high elevation curative path that allows a stop at the Schlegelmulde mountain pasture hut. Another impressive walk takes you along the historic brine pipeline to Lake Thumsee. 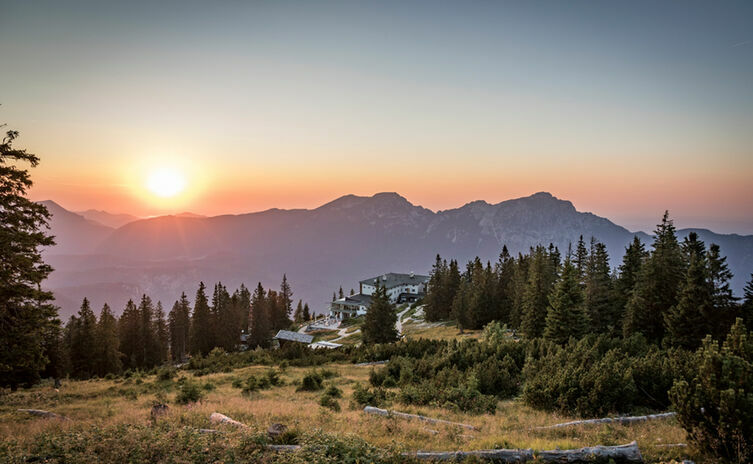 For those who are acclimatized to the altitude and are sure-footed, have no fear of heights and possess good stamina might want to ‘conquer’ one of the summits. 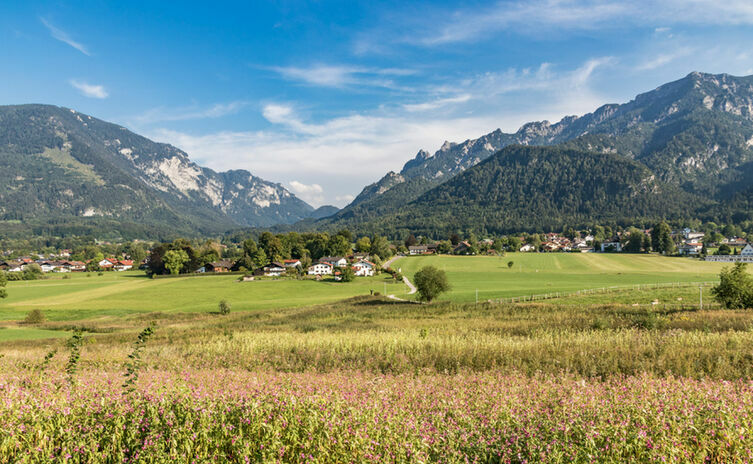 How about a mountain hike up to Reichenhall’s local peaks – the Zwiesel or the Hochstaufen – or, possibly, the Waxrissteig trail on Mount Predigstuhl? The hiking trailheads are easy to reach by public transportation and are often even located in the town center itself. For guests overnighting here the buses are free of charge. 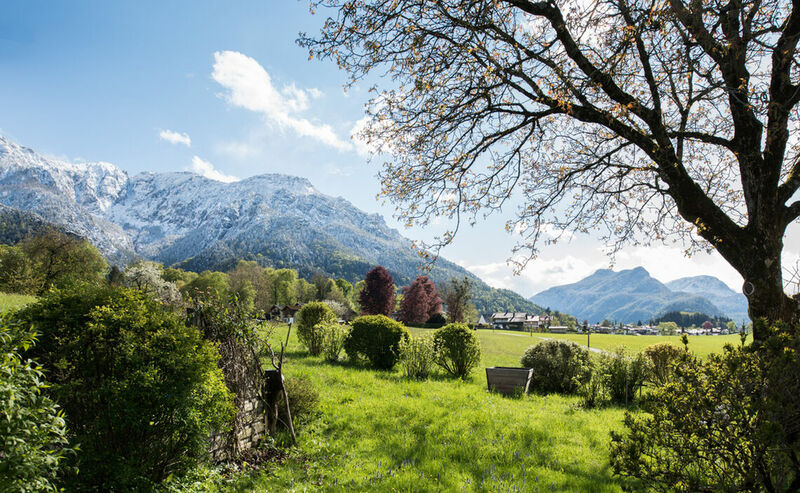 Thanks to the combination ticket for an e-bike rental and the RupertusTherme one can explore nature’s treasures and the surrounding mountains in a relaxed way before treating oneself to a relaxing soak in the thermal baths. 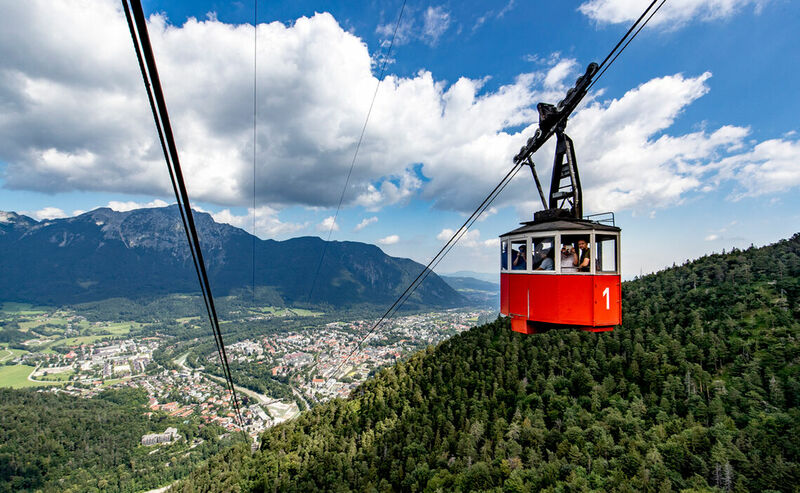 As a matter of fact the Alpine Town of Bad Reichenhall is a member of the Alpine Pearls association and, for some years already, has committed itself to soft tourism and to environmentally friendly mobility.